The Department of Public Administration aims to produce ethical, creative and professional public administrators who can dedicate themselves to the development of local, national and human societies. To accomplish this goal, the students of the department engage, in a mutually reinforcing way, the academic study and professional practices of public administration. Students learn about creative policy-making and planning, effective administration of organization, man-power and other resources required to solve public problems, and actively respond to environmental changes. 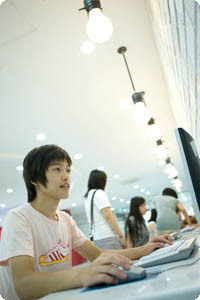 Students learn to lead efforts on globalization and localization, and develop an information-based society.